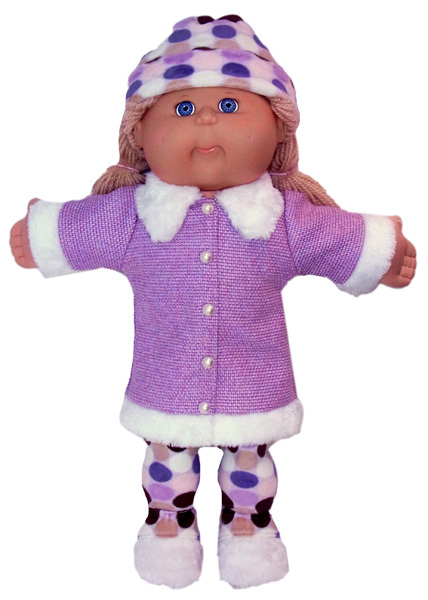 Winter fashion certainly won't be boring when you have this Cabbage Patch Kids doll clothes pattern. 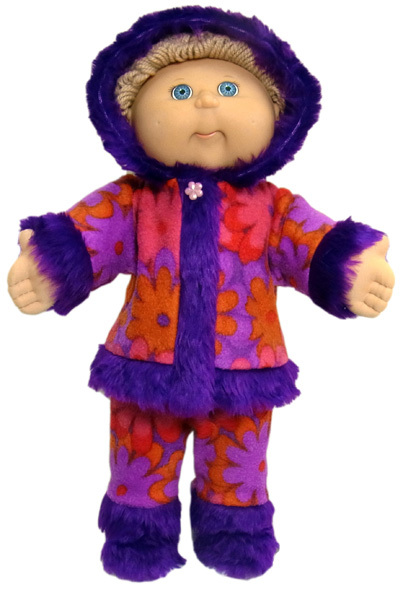 Your doll will be the envy of all your friends wearing this fantastic Funky Fur Jacket and Pants set! Dress this wonderful Fur Trimmed Jacket up with tights or pants made from my Winter Pyjama doll clothes patterns. Or wear with jeans for a more casual look! 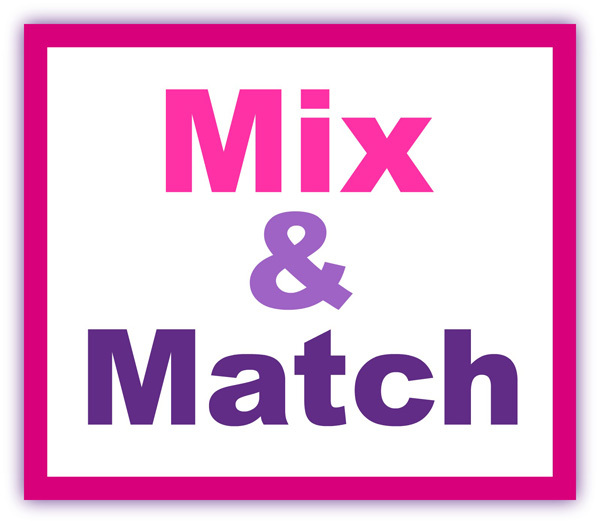 It is a 'Must Have' in your dolls winter wardrobe.